Energy data platform will boost renewable integration in the national grid. A one-stop energy data platform launched this week will help integrate increasing amounts of renewable energy into Australia’s national electricity grid. The National Energy Analytics Research (NEAR) platform will collect, integrate and process data to build an accurate picture of Australia’s energy use. The NEAR platform program aims to drive down energy costs for Australian consumers by analysing changes in consumption and demand response nationwide. The platform could also help reduce inaccurate reporting on renewable energy. This week, The Australian news outlet and others wrongly reported that households are paying $134-$195 additional per year on their electricity bills to subsidise solar rebates. 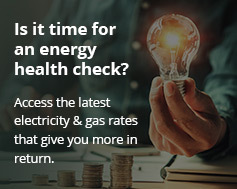 The actual cost is currently $32, as recorded by the Australian Energy Market Commission in its 2018 Price Trends report. Figures from the Clean Energy Regulator show unprecedented government investment in renewables like solar installations across the energy sector. More than $25 billion is set to be invested in 18.8 GW of new renewable generation between 2018 and 2020. This includes solar power and energy storage batteries. The new energy data portal is valuable, because successful integration of renewables in the grid depends on accurate long-term forecasting. The government therefore needs up-to-date data on the nation’s energy production, transmission and use. Federal Energy Minister Angus Taylor says the NEAR data platform will keep government, industry and consumers better informed about energy use by households and business. The impact of retail energy tariffs on vulnerable and low-income consumers. National and regional opportunities to develop demand response programs. Key drivers of energy consumption in Australian households. How energy use has changed Australia-wide over the last decade. According to CSIRO project leader Dr Adam Berry, this is the first time so many different streams of energy data have been collected in one place. Berry says data will help decision-makers create strong demand-response programs. They can then identify areas of risk and help prevent outages during extreme weather events and peak demand times. The Australia Institute calculates 42,895 MW of new renewable energy capacity will be built by 2029-30. Australia could then generate close to 60,000 new jobs annually over eleven years.